Marjolaine Leray is the creative engine behind the successes of Studio ALM and so much more. 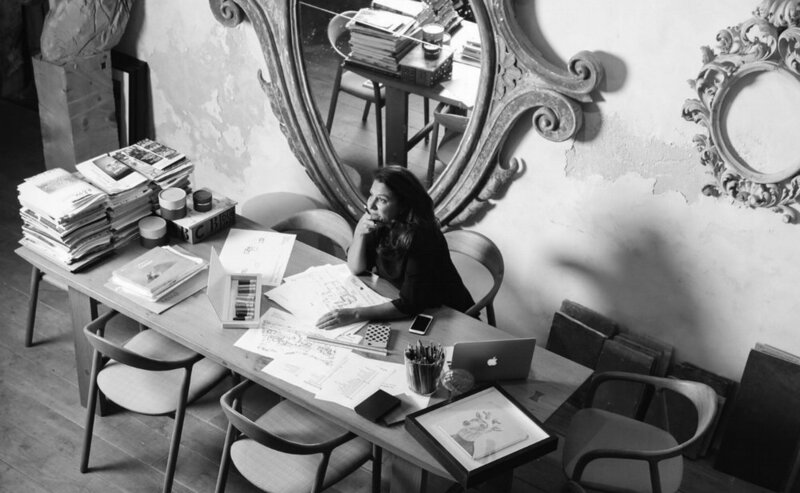 Despite her impressive education in a plethora of schools (Forestry and Wildlife, Mechanical Engineering and Finance) and profound success as an investment banker, it was interior design and the arts that captured Marjolaine and it is interior design and the arts that remains the custodian of this creatively gifted individual. Leray claims her distinctive style is the fortuitous result of her “self-taught” approach and late entry into the industry as it prevented her from building an ego and freed her from the status quo. Interior design agency, Studio ALM (launched in 2007), embodies Marjolaine’s curious and attentive imagination. It is nestled at the top of a hill overlooking the medieval village of Ramatuelle, which is of special importance as it is where Marjolaine grew up. Marjolaine claims the rural setting is crucial to keeping herself and her unconventionally inclined team grounded. ALM is made up of three different entities which coincide with and support one another: a gallery for materials, a studio for fabrics and furnishings, and an architectural agency which is filled to the brim with fanciful objects and eccentric quirk. The newest concept for Leray is a retail and gallery showroom in Sydney, Australia housing curated international and local furniture and art, eclectic antiques and a personal textile collection, also offering interior design and decorating services.